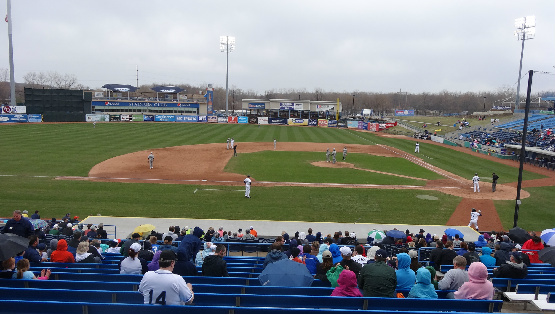 Fifth Third Ballpark-Comstock Park, MI: Well, this was our first ballgame of the season, and the Michigan weather treated us about as well as can be expected. I want to make a statement, too, that I loathe the Weather Channel. They are complete liars, and I will never trust them again. Never. 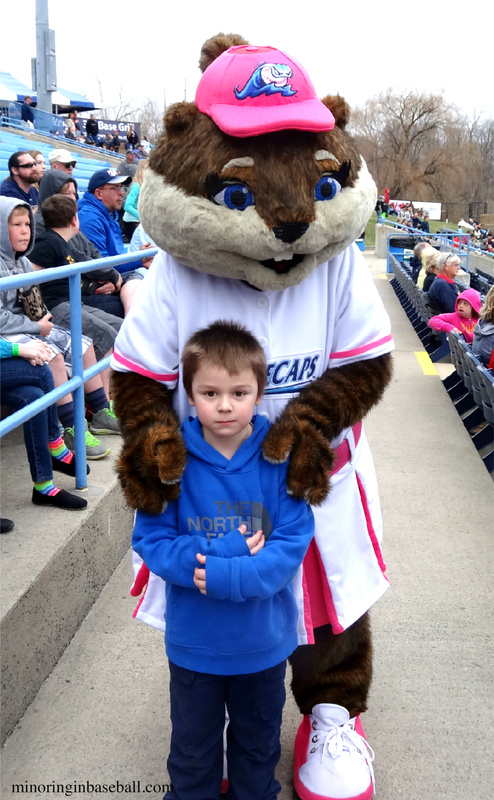 Despite what mother nature through at us, though, we had a fun time together at the Whitecaps game, and I still was happy just to be watching live baseball. The kids had a fun time, and the game was part of their Papa’s birthday present. 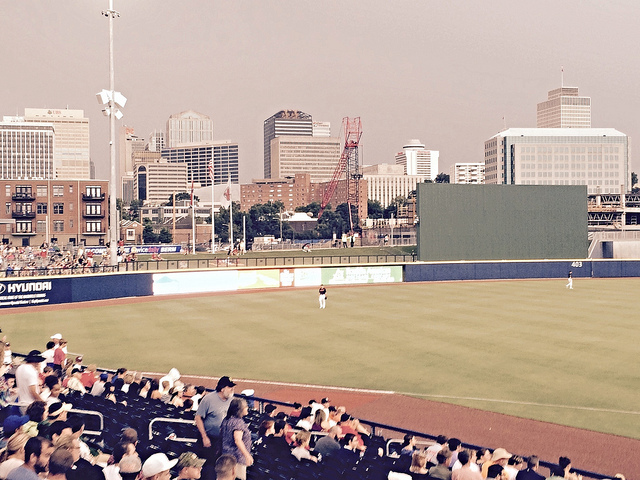 I was still impressed at how good Fifth Third Ballpark looked after the fire in January, too. 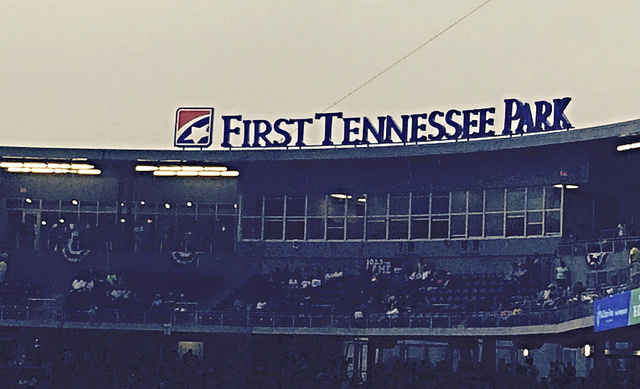 They did a good job of rebuilding it and getting it ready for the season. 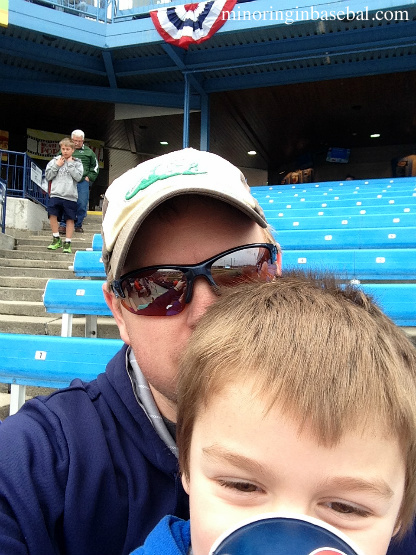 We settled in and grabbed some hot dogs and pop for the kids, and a beer for my dad and I. 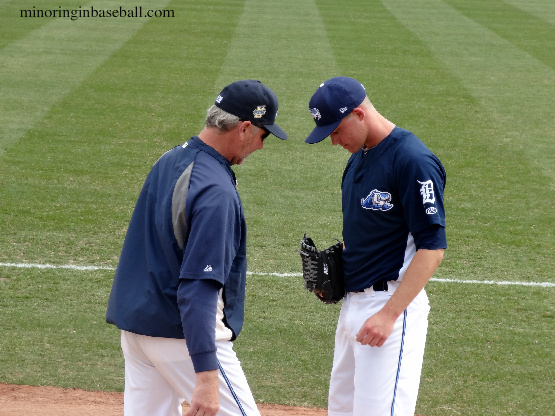 The boys and I went down to the field level to watch pitching coach Mike Henneman work with some of the staff, and see some of the warm-ups. The game was off to a good pace with lots of action early on. 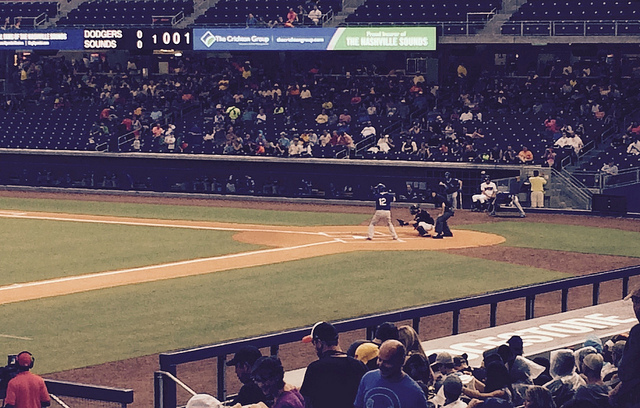 I really like how Andrew Graham is working this team; lots of movement on the base paths, bunting, and smart baseball. Lily took Brian to the park for a short time, and he was able to meet the new mascot, Roxy, a female River Rascal. 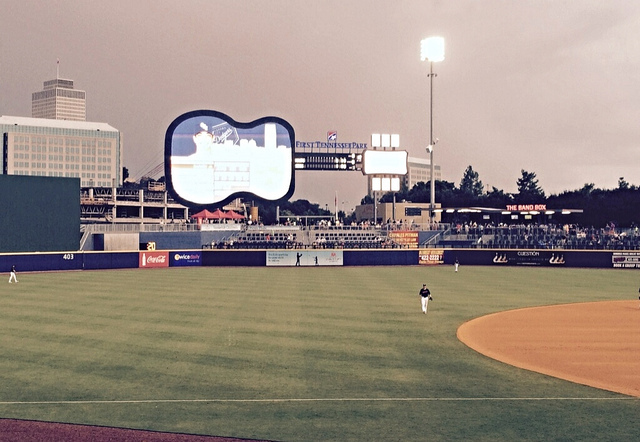 The rain hit us about the third inning, but we toughed it out until the tarp came out after the top of the fifth. Brian happy to be back at the ballpark! The ballpark looks good after the January fire. 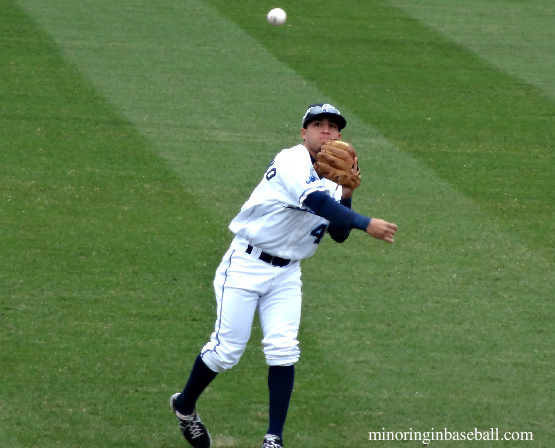 The game was a good one for the Whitecaps, as they produced four runs before the delay, and four after for the win. The ‘Caps racked up a season high 15 hits to go along with the season high of eight runs. Raph Rhymes led the way offensively, going 3-5 with two RBI. He was helped out by both Brett Harrison and Wynton Bernard who were each 3-4. 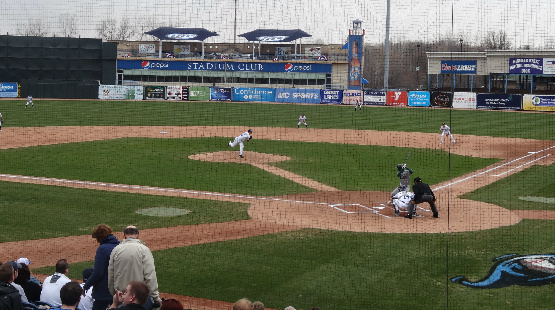 Javier Betencourt was 2-4 with and RBI, and Ben Verlander was 2-5 to pitch in, also. On the mound, Buck Farmer earned the win, only giving up one run, striking out six, and issuing one walk. 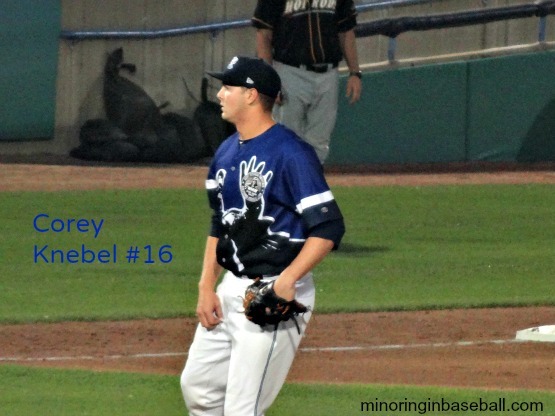 He pitched himself out of trouble at times, leaving the bases loaded in the first inning, and eight Snappers runners on base. 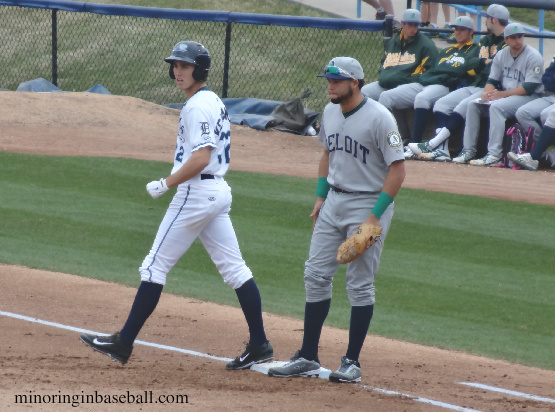 Montreal Robertson and Will LaMarche kept Beloit in check the rest of the game. A good outing, and good work by this team all around. It will be interesting to see which players make the All-Star squad here in June, as there are a handful of candidates so far in the early going. 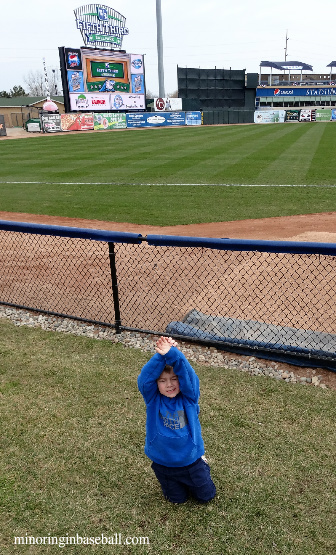 We had planned on maybe hitting a Great Lakes Loons game, also, while down state, but the Weather Channel stated it would be raining all day (they ended up playing a double-header on a beautiful day…). 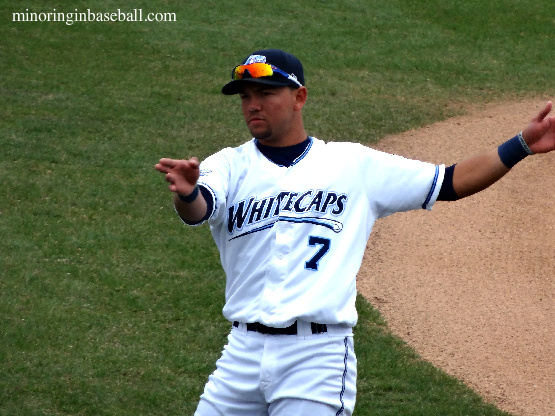 We’ll see the Whitecaps again early next month down in Lansing as they take on the Lugnuts. 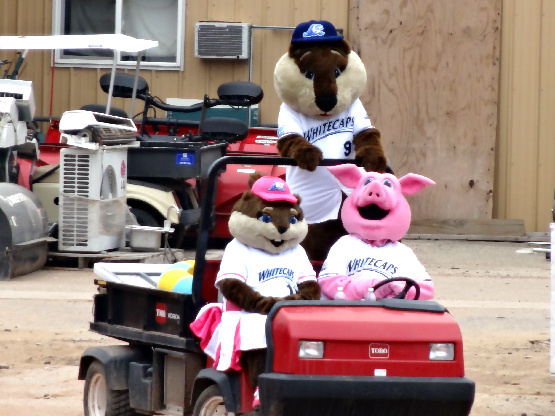 Final Score: Whitecaps 8, Snappers 1. Young is done-who’s next to lead the Whitecaps? 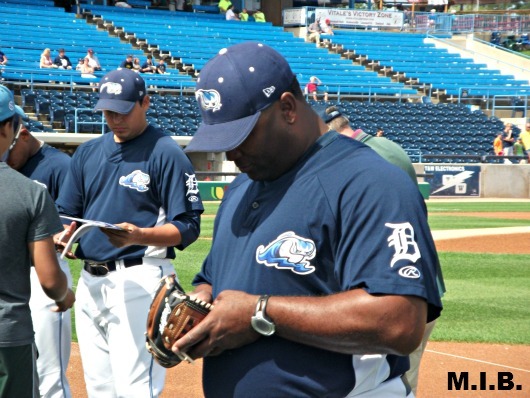 Ernie Young signs autographs for fans for the last time as manager of the Whitecaps last weekend. 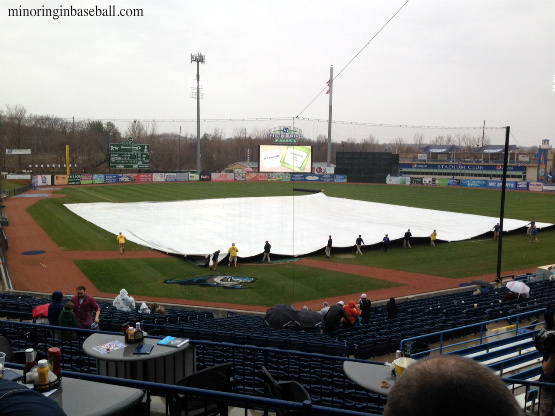 Last Monday the West Michigan Whitecaps’ season came to an end. Also coming to an end, was Ernie Young’s tenure as the ‘Caps manager, as he was notified after the game by the Detroit Tigers organization that his contract won’t be renewed. This news he handled with class, and kept to himself, until he was back home in Arizona the next day. The ‘Caps went 72-68 this season, and 70-69 in 2011. Unfortunelty, they missed the playoffs both years even with winning records. At this point it’s unknown whether pitching coach Mark Johnson or hitting coach Scott Dwyer will be brought back, but both did their job well. 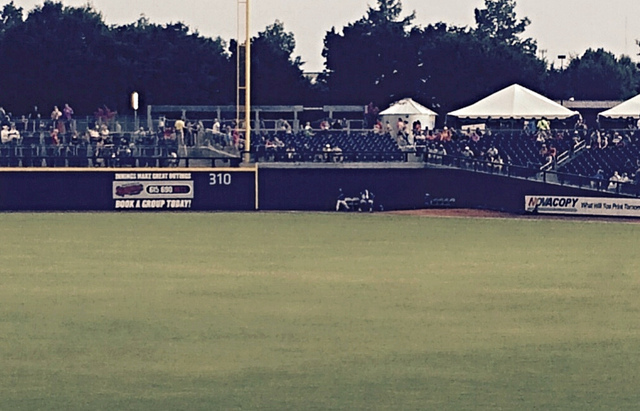 Coaching in the minors is a tough gig, but I thought Young has done a pretty good job. Last season with top prospect Nick Castellanos struggling out of the gate, the coaching staff helped him turn his season around and lead the league in hits. West Michigan struggled at times this season more due to injuries than anything else. 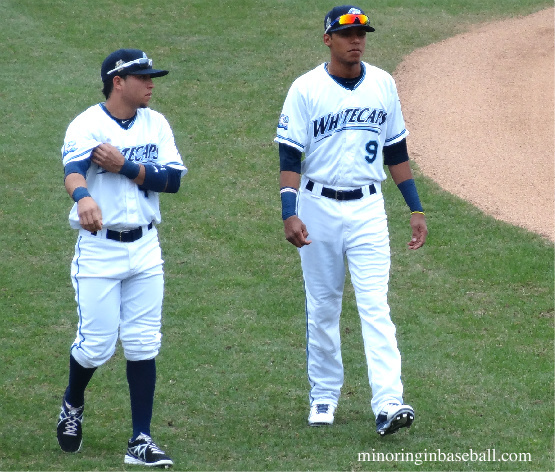 They lost power hitters Steven Moya and Dean Green to injuries, then a promotion to Green. They also lost catcher Curt Casali when he was promoted. 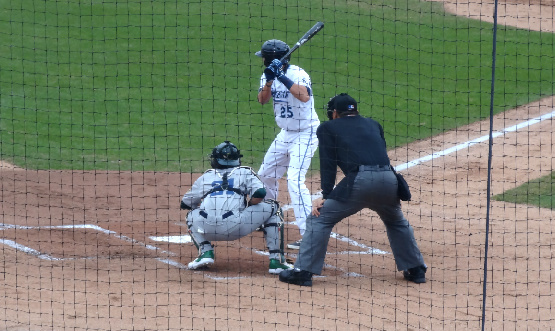 Young is a former manager of the Class-A Kannapolis Intimidators in 2009-10. 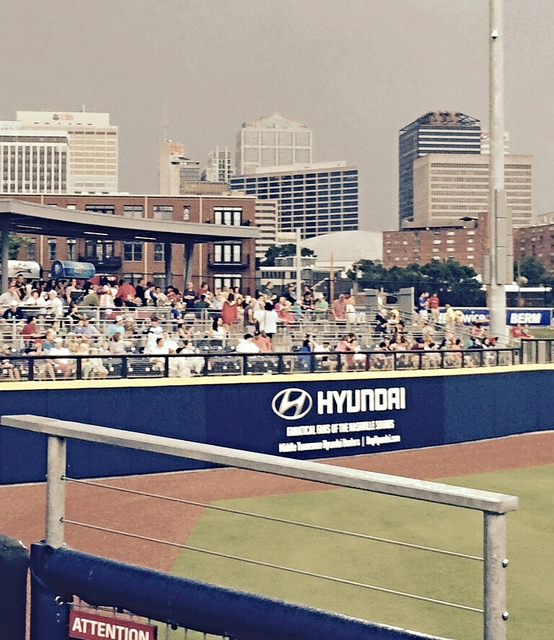 The 2009 team lead the South Atlantic League with a 82-57 record. He has also served as hitting coach for Great Falls in the Pioneer League in 2008 following his Major League career that included eight seasons with Oakland. 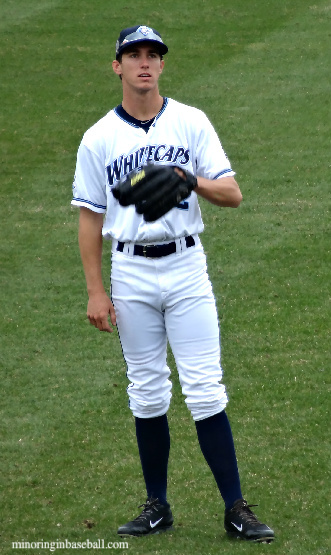 His 142 wins is fifth all-time for the Whitecaps. He seems positive he’ll land with a new team, though. 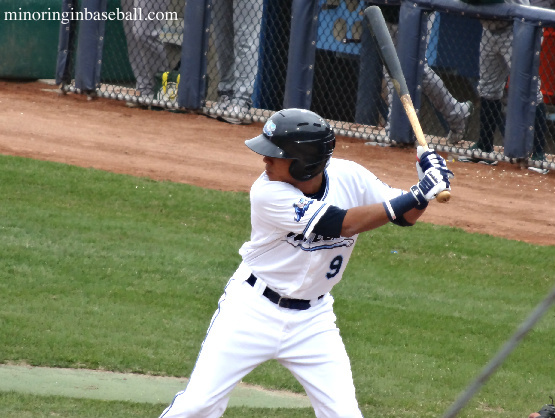 I wish Young all the best, as I think that he did well the last two seasons in West Michigan. Now, I guess, is the time to try to guess who the new manager will be, although we may not get an answer for several months. 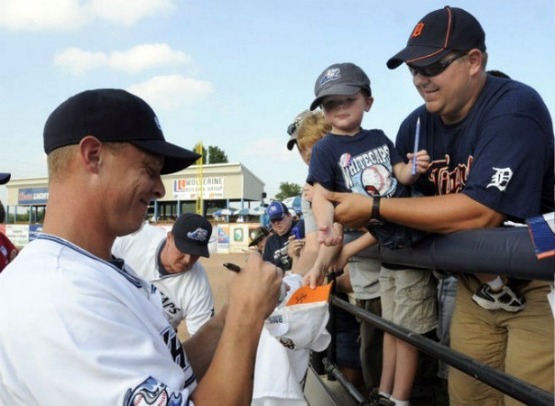 Back in February, I wrote that I thought that former Tigers infielder Brandon Inge would be a perfect fit in West Michigan. Some of my reasons included his 12 year stint with Detroit, and owner Mike Illitch’s reputation for taking care of his loyal players, and the fact that Inge still lives in Michigan and has his family here. His experience at various positions and the fact that his playing career may be coming to and are other factors. 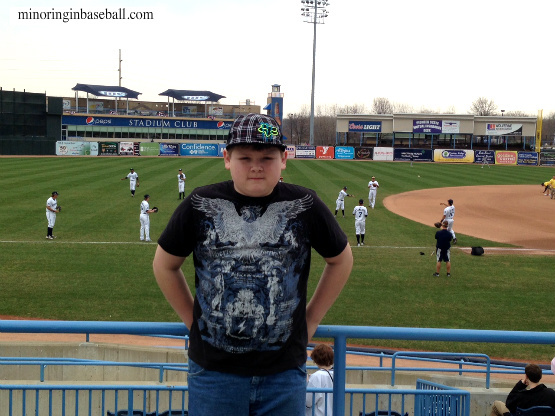 In fact, this season for Inge has already come to an end due to injury. Now, also playing for the Oakland A’s, Inge suffered a season ending shoulder injury on the first of the month. He originally dislocated it on August 11, and had just come off the DL when he injured it again.